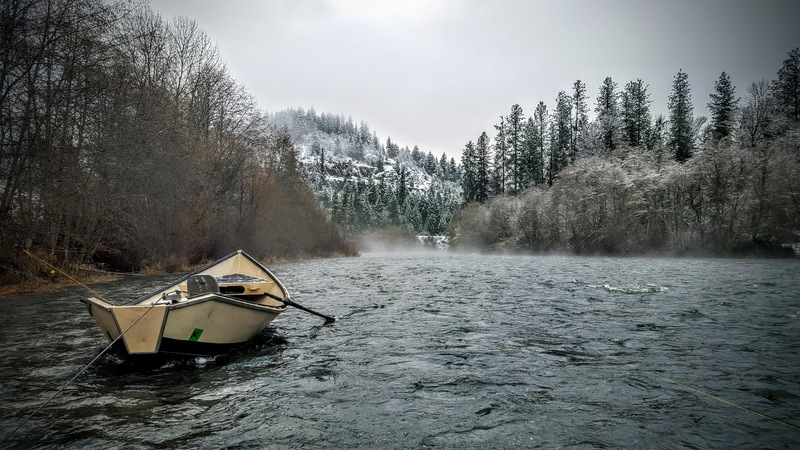 You all know about the Rogue Rivers reputation for steelhead fishing, but I'll bet you never thought about its potential as a Waterfowl Habitat. 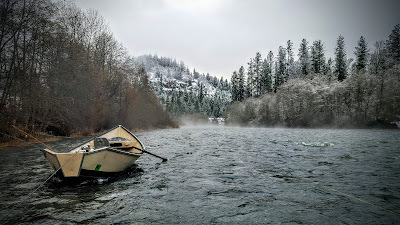 The Rogue, around Medford Oregon has many slews and back water timbered areas. 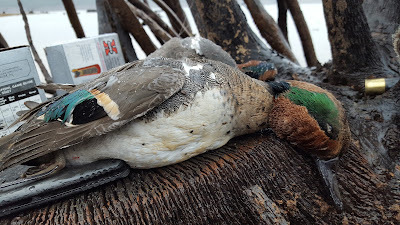 These areas attract large numbers of migrating, Mallards, Widgeon, Wood Ducks, and other puddler ducks from the middle of November until the season closes late January. 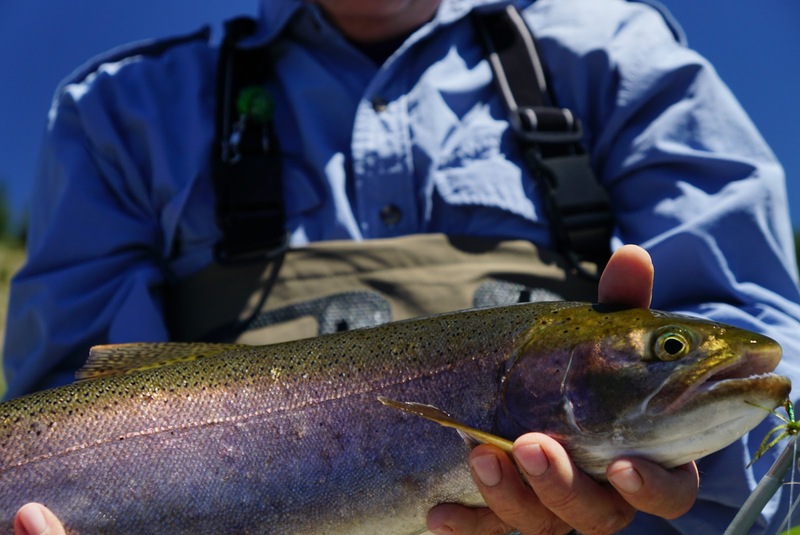 During this time of year the Rogue is also full of late summer, fall and winter run steelhead. 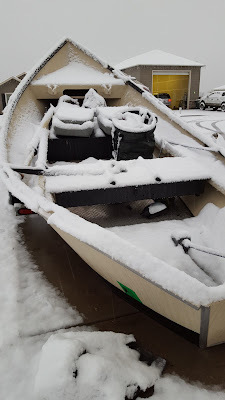 With the addition of my new Lowe 1756 boat and 37efi Mud Buddy, I can now offer a new adventure apply named "Fin and Feather" trip. the trip starts with a run down the river,. we set the decoys in the back slew that the duck prefer that week, pop up the warm boat blind, have a warm breakfast and harvest ducks. Just imagine, producing your own wood duck flank feathers, and duck steaks. Once the ducks stop flying and the river warms to its highest temp for the day we pick up the decoys and hit several top producing steelhead runs. This type of trip is a tradition among locals. For years, outdoorsmen have provided a Thanksgiving feast, or a Christmas dinner from the bounty the Rogue gave them. If you’re looking for a different adventure this is it. 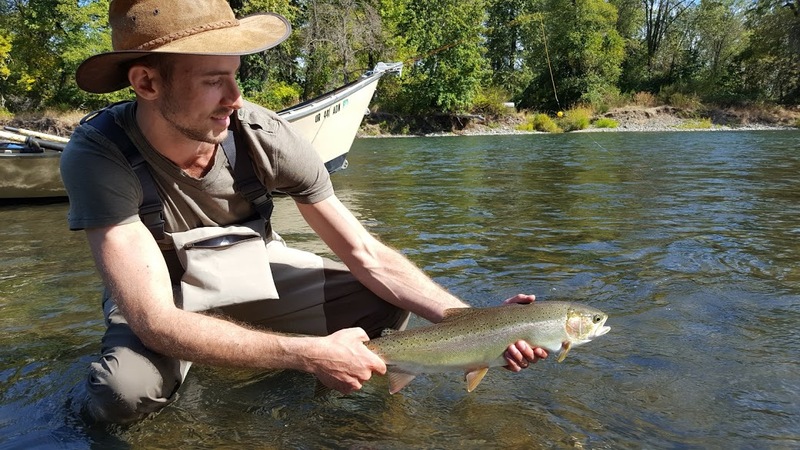 September Steelhead! A Rogue River Report! If you are waiting for the Rogue to start to fish well, don't. We were catching fresh fish as early as July, but it seems to have really turned on as of late. 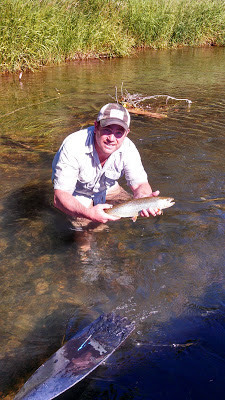 Touvelle area always fishes well this time of year, but fish can really be found anywhere in the upper Rogue! 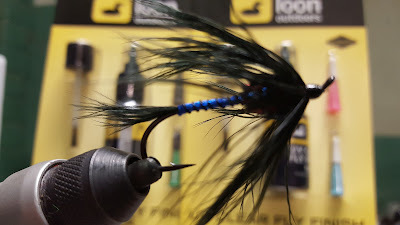 Swing October Caddis emergers, or my Halloween Fly. 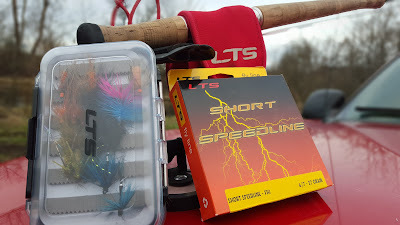 Switch to something bigger mid day when the fish are escaping the overhead sun and looking for deeper water. 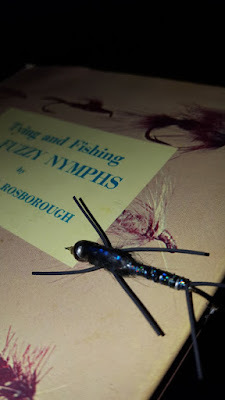 Of course nymphs always work, I like to throw nymphs that look like Nymphs, but the otis bugs hook their share of fish every year. My trailing fly in September and October will always be a egg pattern of some sort. Lately I have been fishing pink, and doing well! I know, I know, I have be quoted as saying, "If your not fishing orange your not fishing the the Rogue!" Well, some chrome bullets have made me to eat those words lately! Remember, pegged beads are illegal during the fly only season! So if your looking for a time to fish the Rogue for Steelhead, the time is now! 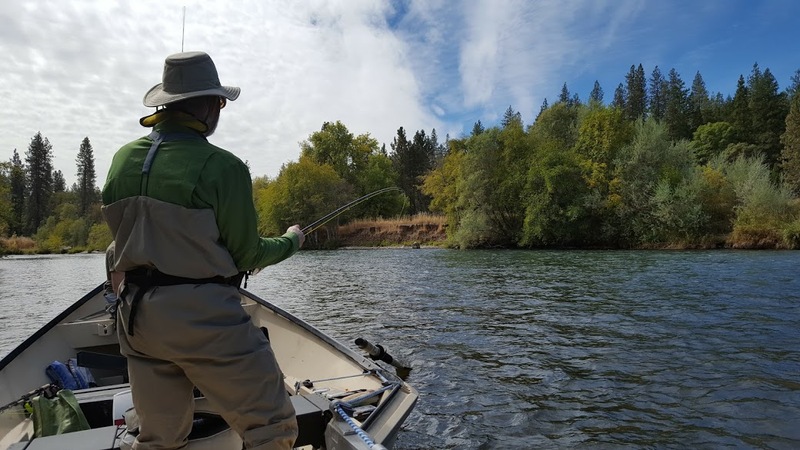 Where to fish in Southern Oregon? 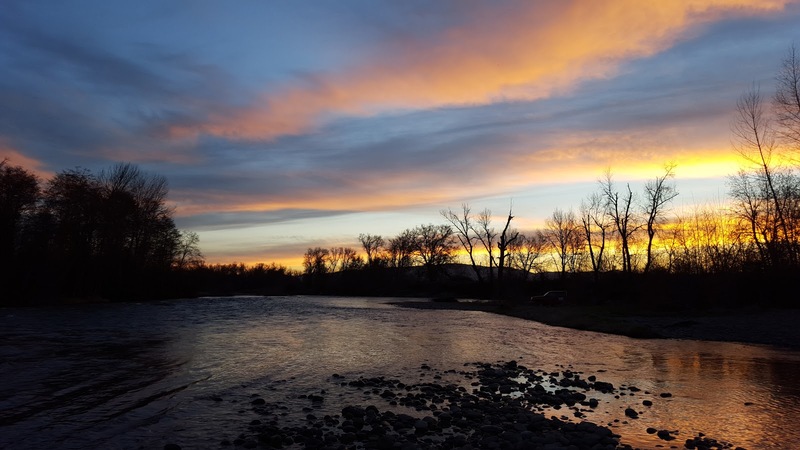 A Rogue, Williamson and Wood River Report! 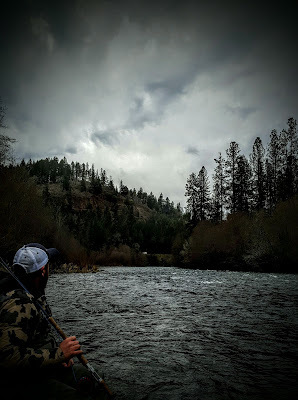 Where should I fish in Southern Oregon right now? That is a question that is amazingly hard to answer right now...all the rivers are fishing extremely well! The Rogue: We have been catching steel since June. Normally this is a real spotty prospect this time of year, but lately you could feel pretty confident that you'll at least touch one. We have been swing real buggy soft hackles with great success. 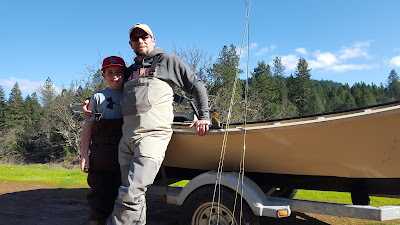 They have been working for both Trout and Steelhead! 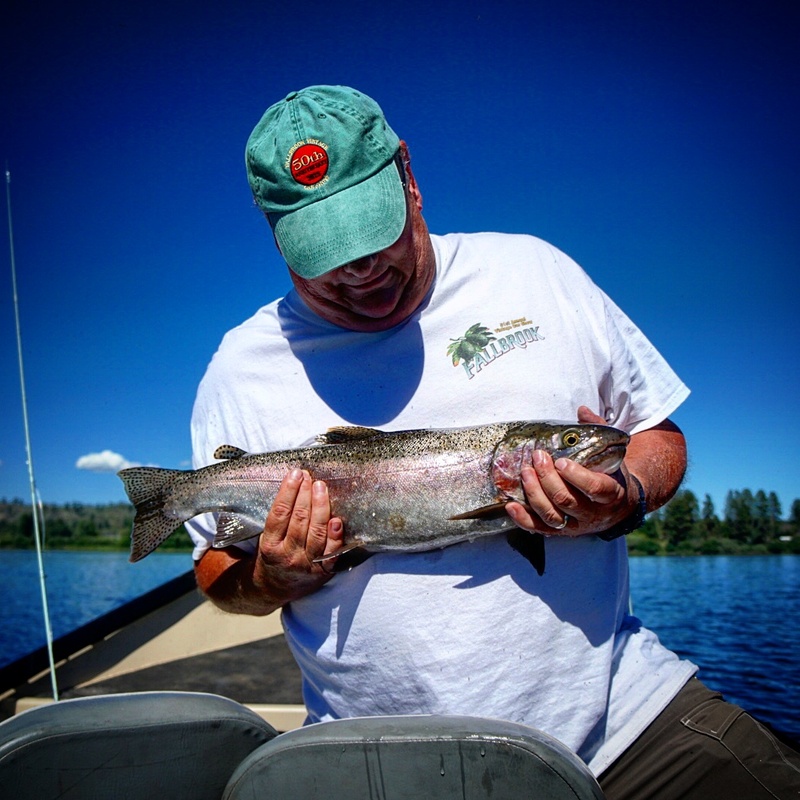 Hold on once you hit a larger fish as they are silver bullets and have the full intention of tearing up your gear! The Williamson: is stacked, but you had better bring your witts as they are deep and the river is clear. 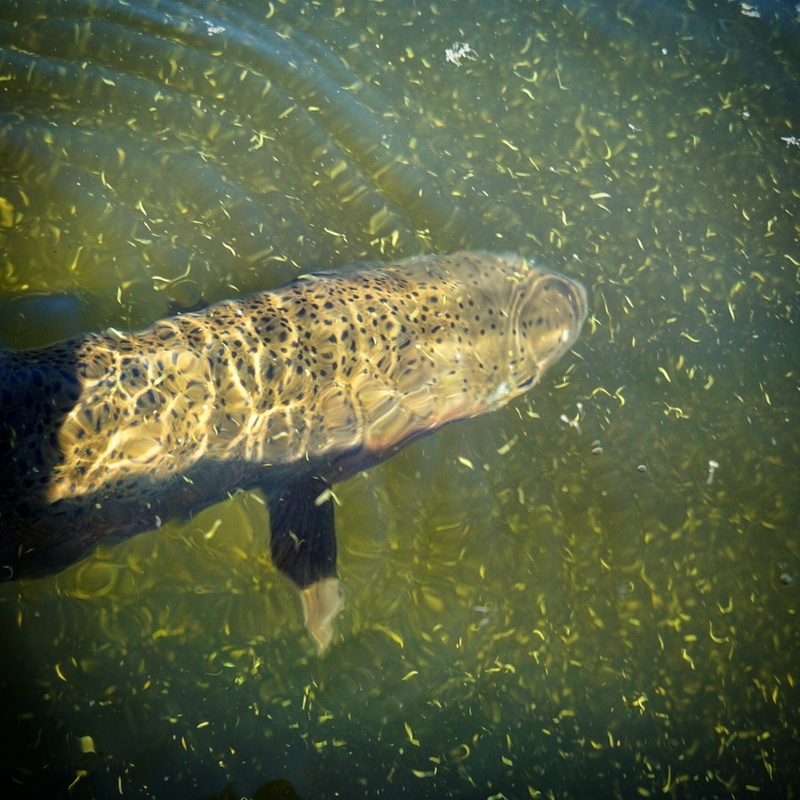 These conditions mean you had better get your swing down without lining these large trout. Once you figure it out they are more than willing to smack your offering. There are some BIG lake runners up as far as the county park. My epoxy leach and PTBFE have been producing well. The Wood and Lake: Hunt for the cool water! Once you find it you'll find fish, and a ton of them! I'm doing well with small buggers! The Basin is still a bit wild! The Williamson and Rogue have been fishing well. Have they been fishing well on nymphs? Have they been fishing well on drys? I couldn't tell ya, as all I have been doing is swinging. The trout spey action has been phenomenal, so much so it's been hard for me to do anything else. I have been fishing my Jefferson Rod Company 5126 almost exclusively on the Williamson, and let me tell you those fish can put a bend in that baby. I'm running a 380 Airflo Skagit intermediate with a 7 ft chunk of T7 on the little spey. The cool thing about the setup is that I can fish seams from over 60 ft away even if there is a seamless between us. Using mono running line, I can hold it off the water while the sinking head swings the far seam. This is an amazing advantage when as the river starts to clear. 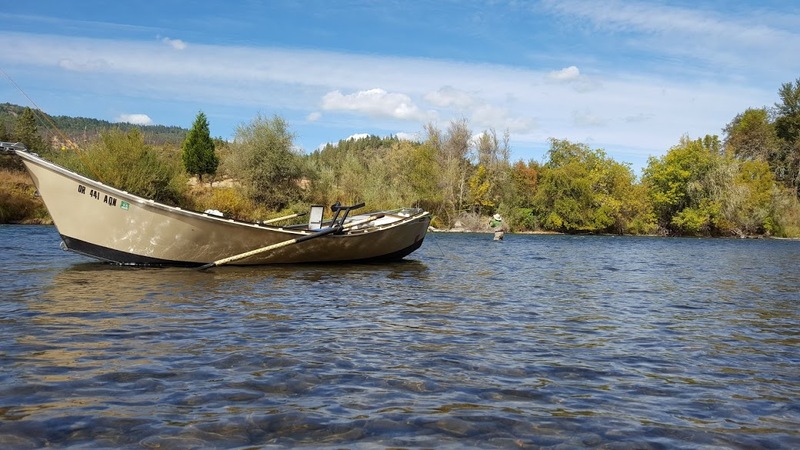 Get out there and hit some Southern Oregon rivers with your trout speys, you'll be glad you did. Not a bad problem to have ... a Rogue, Williamson, Wood rivers, and Klamath Lake Report. This time of year is a hard time of year for me as its hard to choose between the Rogue, Williamson, Wood Rivers and the Klamath Lake. I guess we could have worse problems. 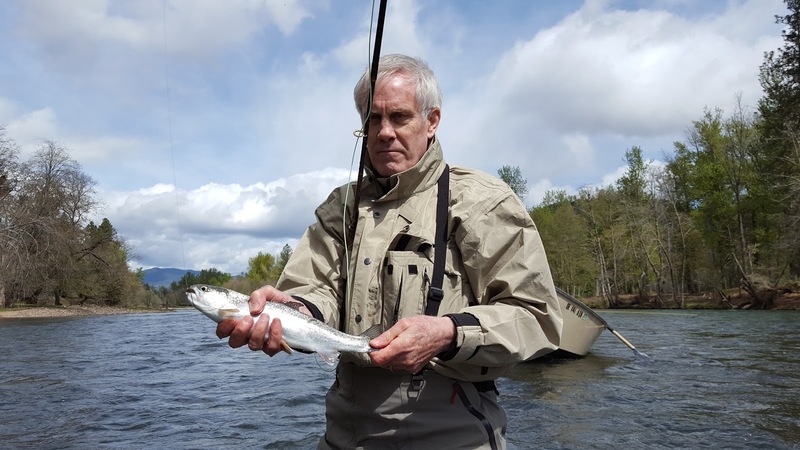 The Williamson is fishing well, but the best is yet to come. All the fish we have been catching are clean as a whistle, meaning they don't have any of the license on them from the lake. 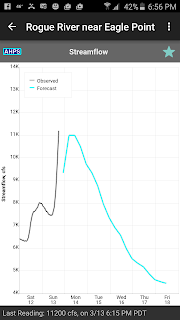 This is a sure indicator that the big push of fish lake fish haven't hit the cool waters of the Williamson. As the lake warms expect more and more fish to show up. As it is we are catching quite a few fish a day. 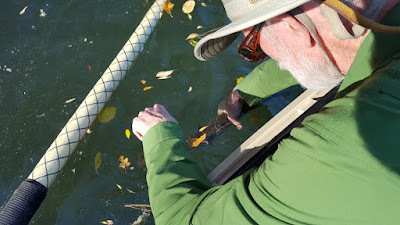 The Wood is in the same boat as the Williamson, but fish are already moving into the estuary. Fish from the wetlands bridge down. 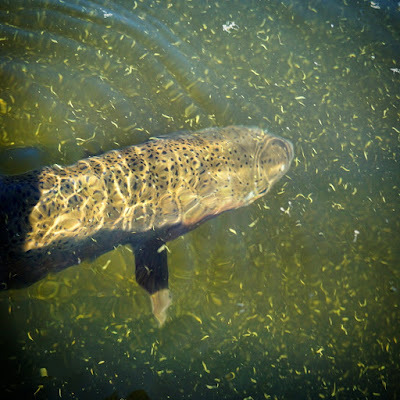 Watch for fish early in the morning and late in the evenings. 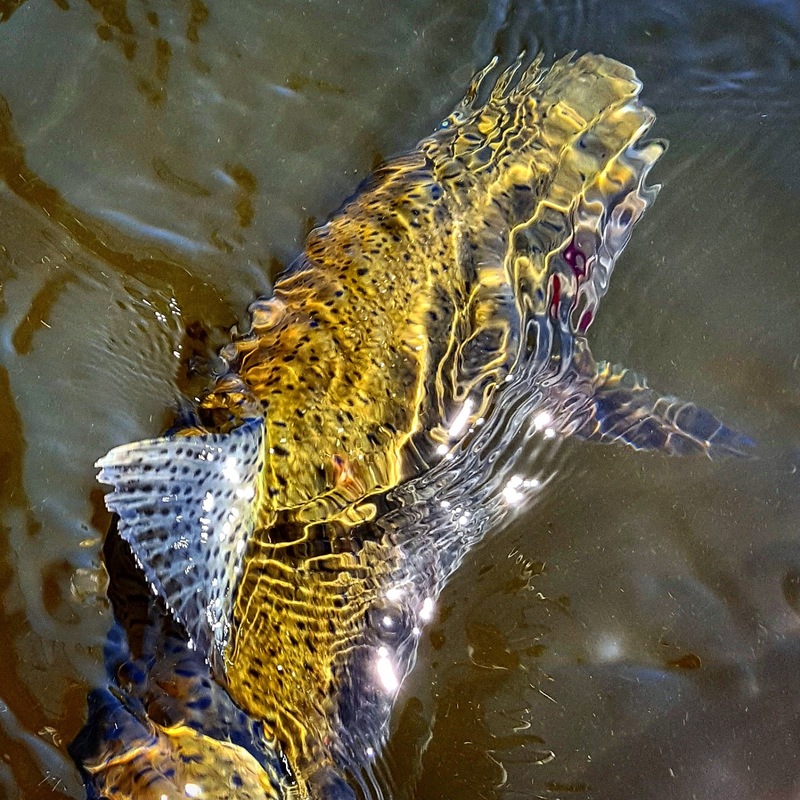 Swing soft hackles across rising fish. 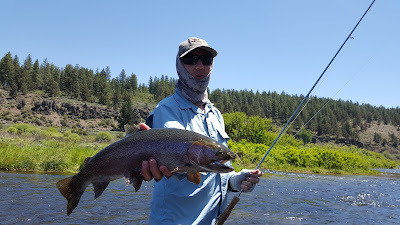 The Klamath/Agency is fishing amazingly well. Look for fish staging at the cool water. 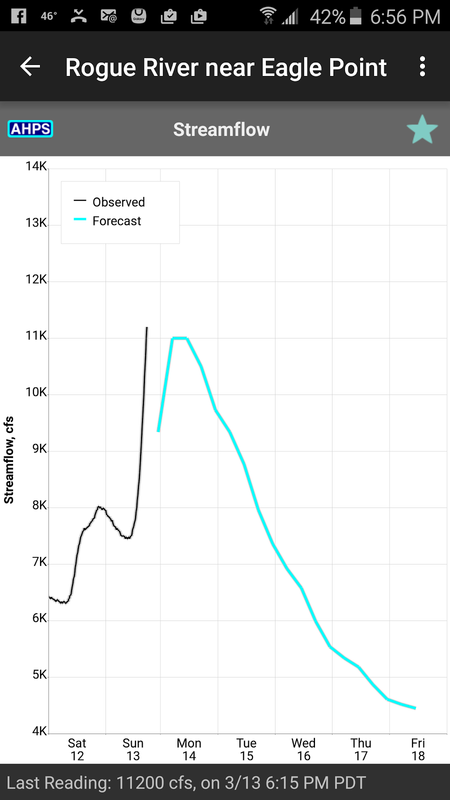 With the heat they are going to start pushing up the rivers. 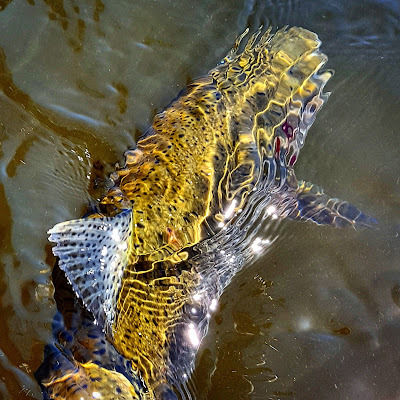 Strip leaches and emergers across rolling fish. Look for the foam lines along the mixing of the warm and cool waters. 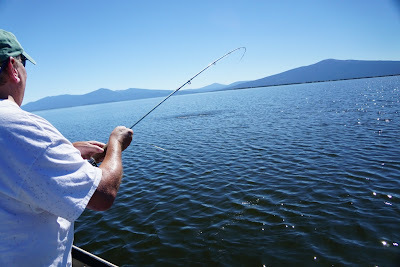 The Klamath/Agency Lake is a consistent producer! There you have it! 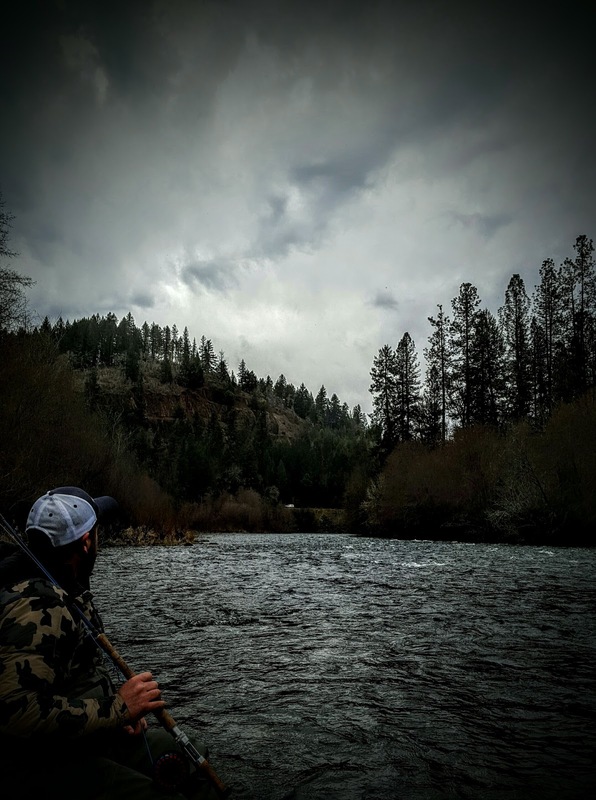 If Southern Oregon isn't on your bucket list it should be. 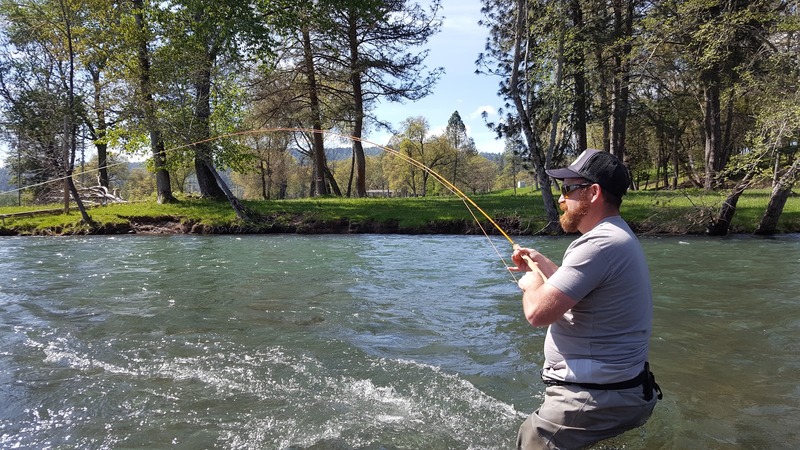 It has the water to match whatever skill level, and gives you the potential to catch the largest, meanest trout of your life. There is no such thing as to much water! 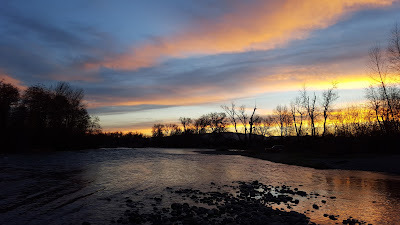 A couple years ago I found myself griping about all the water that was in the river because it messed up the fishing. The very next day, I sat through a presentation about how people in Africa didn’t have enough clean water to even drink. I felt like such a putts, and I knew those feelings weren’t self-induced. I knew I was being told to do something. I started looking for ways to help. As fly fishermen we know the importance of good water. It’s what we travel over the globe in search of, but for different reasons. Just think about the trouble you went through to find the last piece of fishable water you hit—now understand that the people in parts of Africa have a more intense search, but this one is between life and death. Make our search seem a bit small at times. Living Water International realized that Water was the vehicle to bring Love and Hope to people that had none. They knew that by drilling just one well in a village they could impact the whole region. Kids would no longer have to spend most of their day looking for and carrying water but now could go school and break the cycle of poverty. These wells bring love, Hope, and Change to regions that thought they had none. The next time you stand in your favorite run could I humbly ask you to think about helping me, help Living Water International bring water and all the love and hope that it brings to the people of Africa? If so you can easily donate by using this link. https://www.water.cc/natebailey Thank you! A couple years ago I found myself griping about all the water that was in the river because it messed up the fishing. The very next day, I sat through a presentation about how people in Africa didn’t have enough clean water to even drink. I felt like such a putts, and I knew those feelings weren’t self-induced. I knew I was being told to do something. I started looking for ways to help. 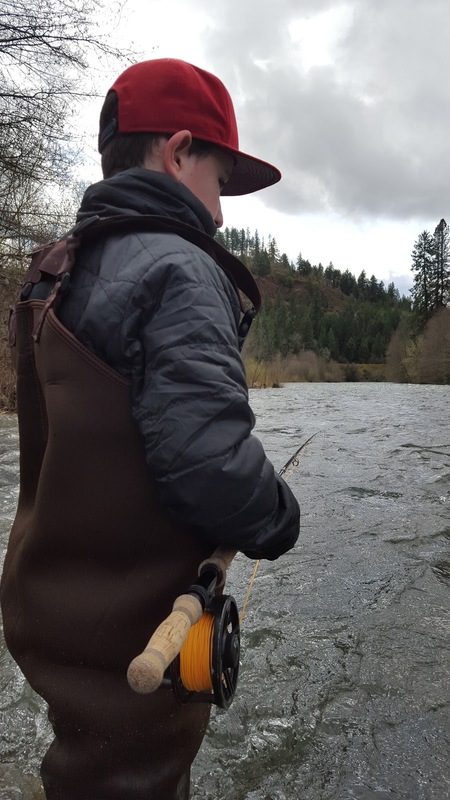 As fly fishermen we know the importance of good water. It’s what we travel over the globe in search of, but for different reasons. Just think about the trouble you went through to find the last piece of fishable water you hit—now understand that the people in parts of Africa have a more intense search, but this one is between life and death. Make our search seem a bit small at times. Living Water International realized that Water was the vehicle to bring Love and Hope to people that had none. They knew that by drilling just one well in a village they could impact the whole region. Kids would no longer have to spend most of their day looking for and carrying water but now could go school and break the cycle of poverty. These wells bring love, Hope, and Change to regions that thought they had none. The next time you stand in your favorite run could I humbly ask you to think about helping me, help Living Water International bring water and all the love and hope that it brings to the people of Africa? If so you can easily donate by using this link. https://www.water.cc/natebailey Thank you! What to look for in a Guide from a Guide's perspective. This is what your there for. I constantly hear horror stories from clients about guides they have booked in the past. 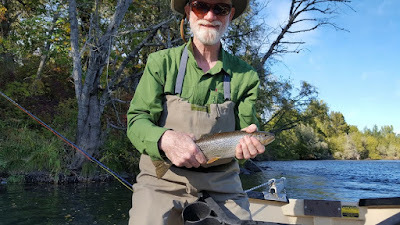 I have heard about guides that are so intense that they felt like they would never catch a fish unless they were able to mimic the guides every movement, and I have heard stories about a guide that gives no if little instruction. Clients have also told me that they would love to read something that would give them some insight as to how to go about picking a guide. So as I guide, who knows a bunch of guides I thought I would have a pretty good idea on how to hire a guide. So here is a quick list you can use to evaluate whether or not a certain guide is right for you. 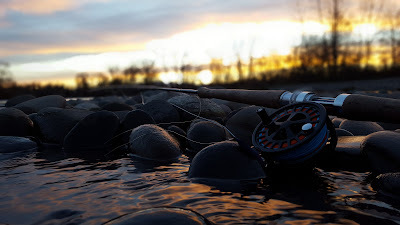 Outside of visiting your local fly shop (they are a great resource as they are the local fly hub for the area) here are my tips to help you have a great day on the water. The first thing you have to ask yourself is what do you want from the trip? Are you looking to just get into fish? 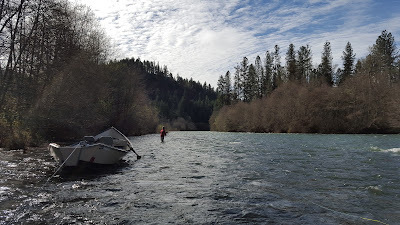 There are people who know exactly what they are doing and just hire guides to get them down a particular stretch of river safely. If this is you, you probably don’t need this article as you have been around this stuff for a long time. Are you an accomplished angler who hasn’t fished for a certain species, or hasn’t fished a certain location for that species and are looking to learn something from the guide, but you don’t want to be treated like you have never touched a fly rod before? 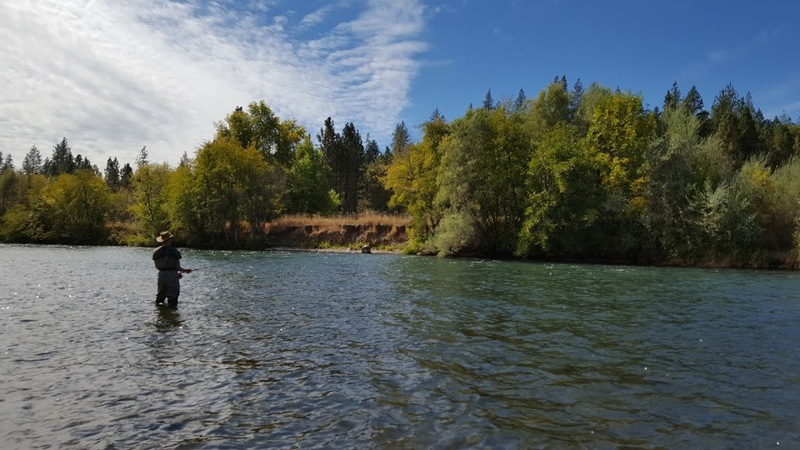 If this is you, you need to make it clear that you don’t need hours of Technical Instruction, you are more interested in the seeing the river and learning about the fish. Are you a total beginner? 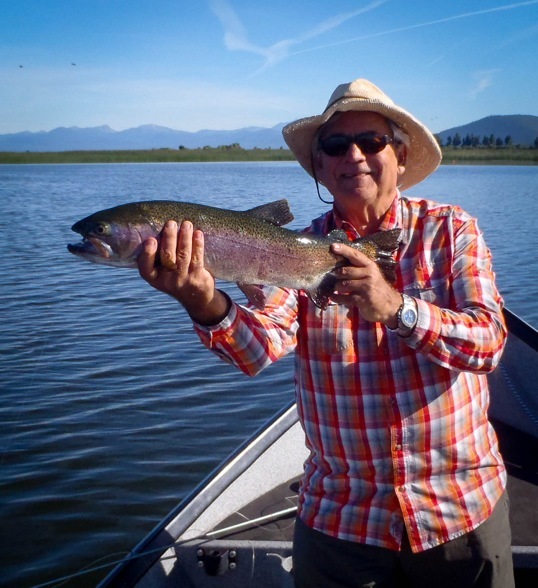 If this is the case ask the guide you have contacted if he teaches people how to fish? This is where I have heard most of the horror stories, beginners telling me that they almost gave up on fly fishing because the guide’s frustration with them made them feel like they would never pick up the sport. Once you have figured out what you want out of the trip here are a few questions that you can ask the Guide to see if he/she is compatible with your expectations. The first and most important question might seem obvious, but I rarely get asked and it’s important—do you hold a guide license? Most states require Guides to have a minimum amount of insurance and first aid training. 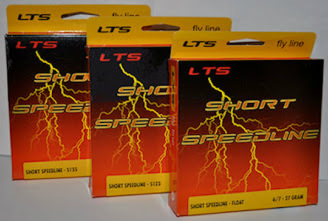 If you want a safe stress free trip insist to know if the guide is licensed and insured. 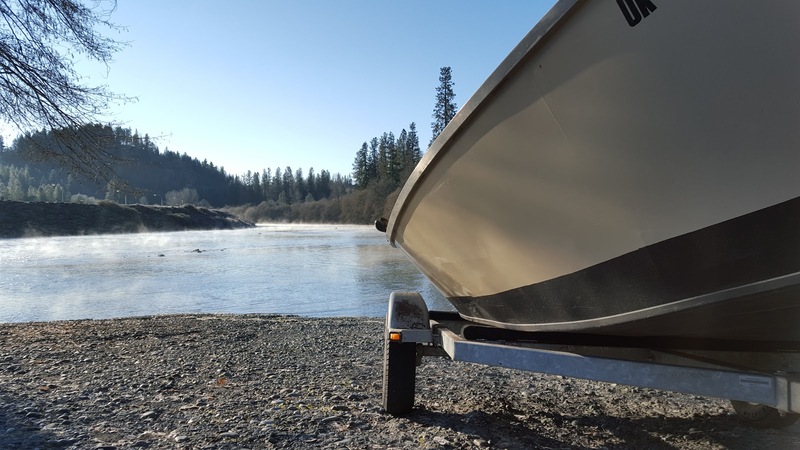 The State of Oregon’s marine board keeps an active list licensed guides and requires the Guide to put a sticker on their boat. Look for that sticker always! If the guide overlooks the sticker what else are they overlooking? Ask if the guide has a website? 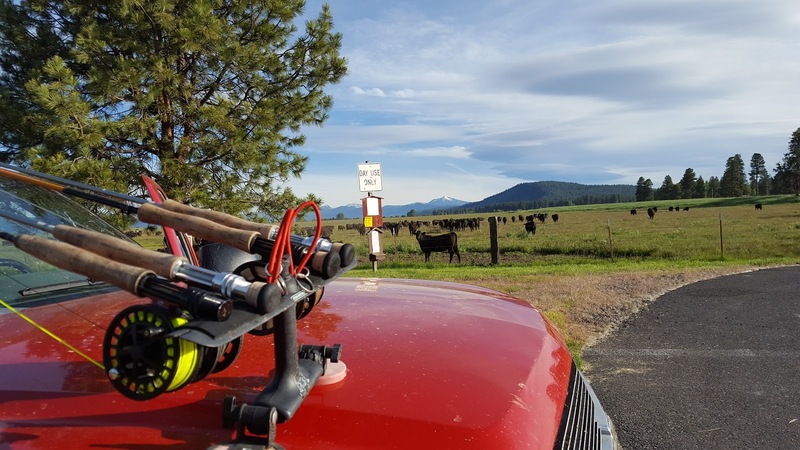 Not all good guides do, but you can tell a ton about a guide just by what he puts on his sight. If you don’t see any offering for Fly Fishing Instruction, and you’re a beginner, you might think twice. Look for kids with fish, that’s a good indicator that the guides are familiar with teaching the sport at the hardest level. 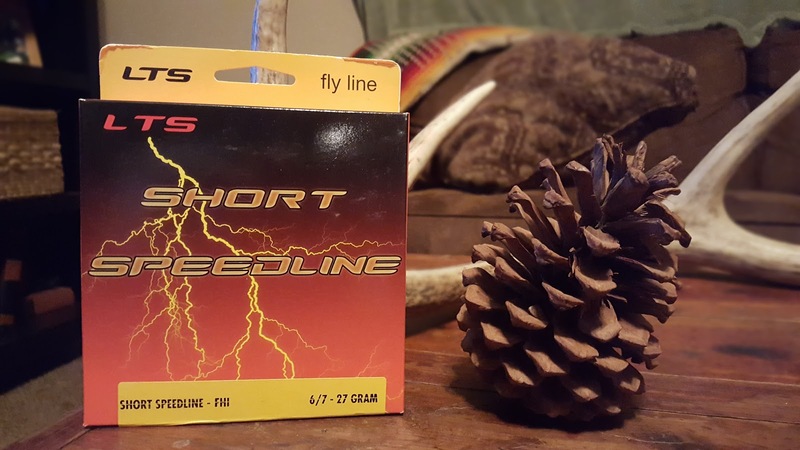 Look for references, happy clients like to help out the guides that help them have the best trip possible. Get just a little familiar with the water you’re looking at. Ask the guide what section they fish, and why. Realize that some of the best guides will not fish the same water on any given day as the rest of the guides, but they had better have a good reason as to why. Also ask how much of the water will I see, the last thing you want to do is sit in the only hole the guide knows all day and watch the other clients get the total river experience. Ask about the guides gear. You know that you picked the wrong guide when you show up to the launch and everything they own is in pristine condition. Don’t get me wrong, everything should be well maintained, but it should show wear. On our local rivers, if the boat is more than a season old and has a chine that looks like it’s never been off the trailer it’s a telltale sign that the guide is either 1. Brand spanking new (which isn’t all bad, we all have to start somewhere) or 2. Doesn’t do what it takes to get people into fish. The western rivers are hard on guide boats and one that’s on the water a lot will show it. Ask the guide if he is a local. The best guides live where they guide. A good trip has value beyond just catching fish. 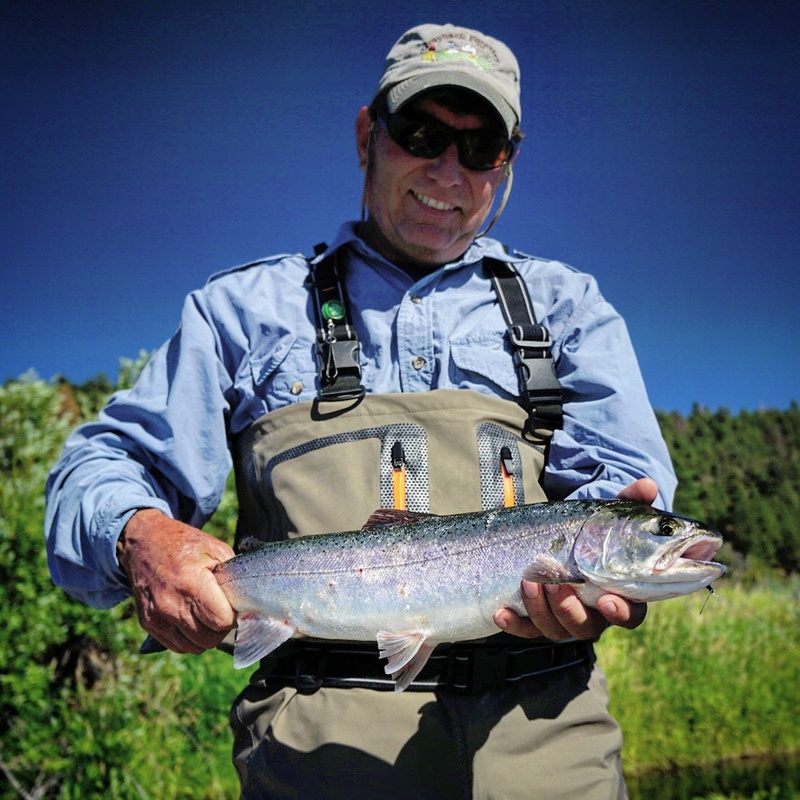 A local guide will add to that as they know the ins and outs of their particular waters. There is a trend nowadays for guides to travel and chase the runs. Some will be in Alaska one minute and Montana the next. It’s all bite/run dependent. This is all fine and dandy until they experience a tough day and have to pull out a few tricks. If all they chase is the good fishing they will never have to improvise when the fish don’t cooperate. You want a guide that has been there before and has had to innovate when things get hard, as they will possess some hard learned skills that you can take with you to use on your home stream. The other reason to look for a local guide is that they probably know all the history and lore of the area! There is nothing better than spending a day on the water with good fishing and conversation. There are a few questions that will help you find a guide that will meet your needs. I’m sure this list could be as long as there are people who look for guides, but at least this will give you a logical approach for finding a guide. The last couple of weeks have been busy to say the least. 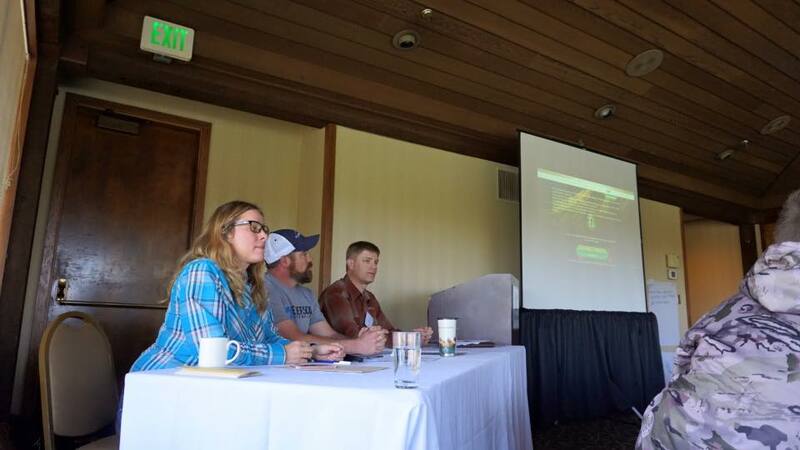 Our spey presentation at Trail Outdoor Fellowship was a great success, I have introduced (hooked) 10, yes 10 new people to spey fishing, and had the chance to co-panel an important session at the TU regional conference. Here are some of the lessons I have learned from the week. First, my life has the personal, molded touch, of a personal Creator and that was by no accident! I was created to bring the Creator Redeemer Glory by swinging flies, and all the results of doing so brings. Second, we have to care-for, and use the natural resources. Let me explain: I used a valuable resource, the Rogue River to bring joy to many people. 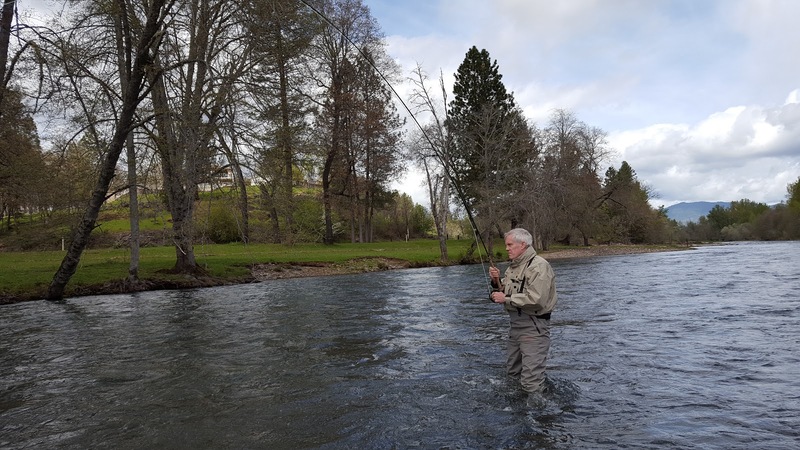 The more people who catch the spey bug will learn to protect the River, Access and Lifestyle that the sport promotes. 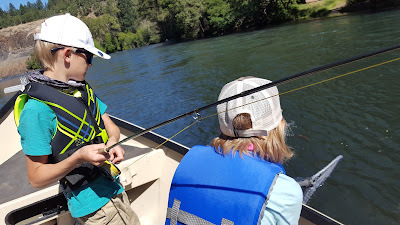 I was especially happy that out of the 10 people who were introduced to the spey 2 of those were kids. 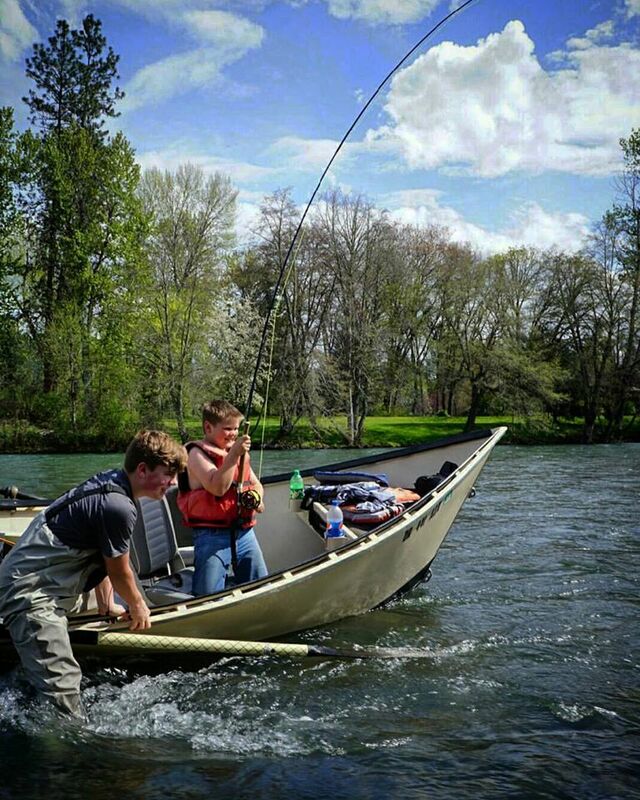 I hope as they grow into fishermen that they will learn how to protect the resource that fosters the sport. We will always need trees, lumber, water, fish, crops, and such, but if people learn more about the world they have been entrusted with, I think they will learn how to use these resources with a conscious. Especially the kids..the more tugs they experience, the more they will weigh their decisions when they grow up... to think that I was a part of this makes me feel small. 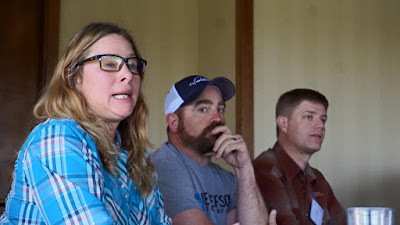 Third, I realized that most of these lessons take place on public land, and we need to protect it for access, as resource, and as a environment. What do I mean by this? First, to pay the bills the State is trying to grab federal lands that lie within their boarders. This is prevalent through the west! on the surface this doesn't look like a bad Idea, but it creates a problem for sportsman and anyone else who enjoys using the land that Americans own. The western states have attached a ton of their programs to the payments that they received from the timber sales withing their borders. Now those sales have been reduced to a trickle, there is very little money to fund them anymore. The biggest bill that gets hit the hardest is the school funds. Now that these funds are drying up the states are desperate, and one of the short term fixes is to obtain federal land so they can sell it. If they have the land they can control it. If they can control it they can sell it and meet some of the budget gaps. The problem here is that if the state sells, it would be sold to companies that have proven time and time again to close it for access. I can understand why companies limit general access as they are held responsible for anything that is done on that land. How would you like to have to pay for the environmental impact report for a bunch of trash some low life dumps on your land. Worse yet, how would you like to have to pick up the bill for some careless person who starts a forest fire on the edge of one of your roads. The root of the problem is that the pacific northwest has put all of our eggs in the timber basket and that basket has dried up. Our rural towns are dying because of this. We have to come to this realization if the rural northwest is to survive. We have to expand the basket. I'm not saying the timber shouldn't be part of that basket, but what I am saying is that it cant be all of it. Timber is a renewable resource (when done right) and is measured as such, but fish are to, yet they are never taken into account as a asset. 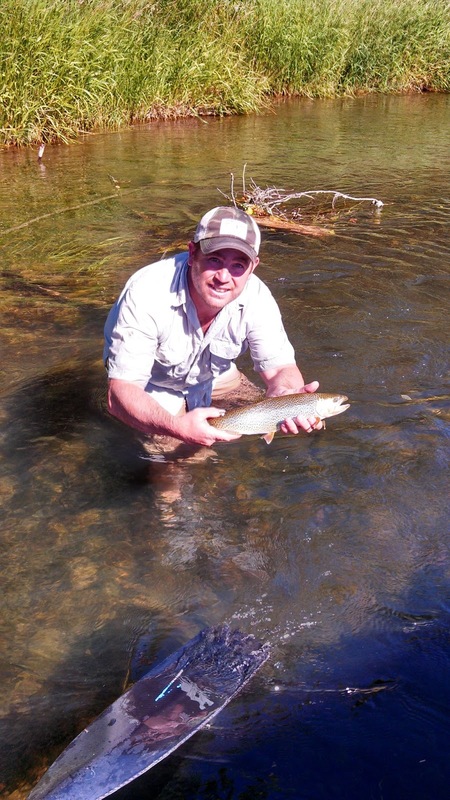 As a matter of fact a Klamath Redband Trout that is released by a client is as much a renewable resource as a tree. 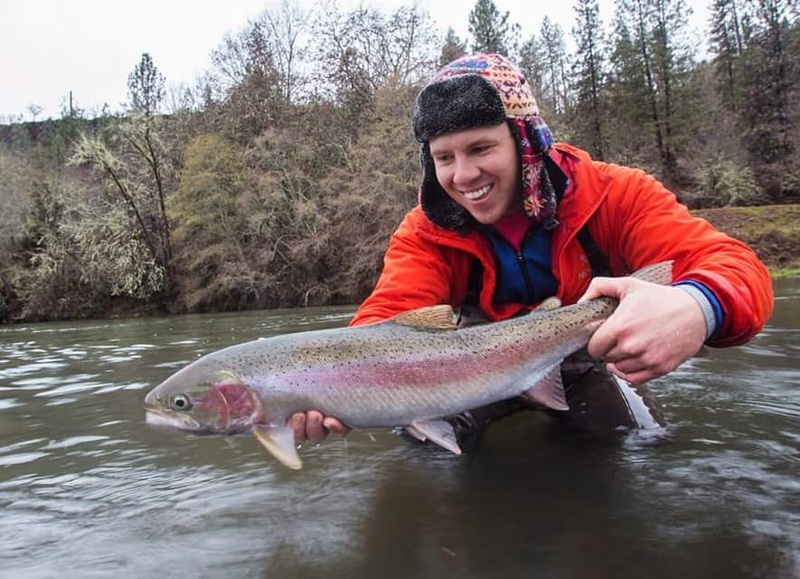 That trout has generated revenue, just like a tree does when it becomes timber. We need to start looking at management through these eyes if we are going to survive in the rural west. 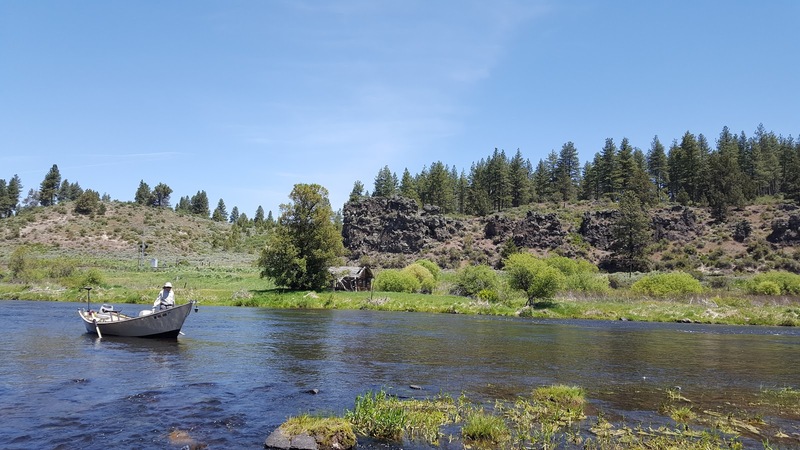 Bend Oregon is an example where a rural community stepped outside of the shadow of timber and flourished. It did it by the proper use of the public lands that surround it. We need to think about the holistic approach to the use public grounds. All the stake holders need to realize what they have in common, and how they can help each-other use the public resources in an intelligent way. Sure ranchers rely on the grazing rights to sustain their lively hood. 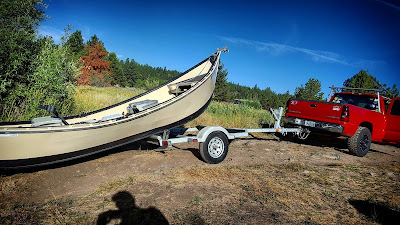 Sure we need wood(last time I looked no one lived in a house that didn't have wood in it somehow), but the Guide needs fish, and the ecotourist need birds to check out....the only way this can happen is if the land that is in federal control, stays in federal control. That is what I have learned. You never forget your first fish! 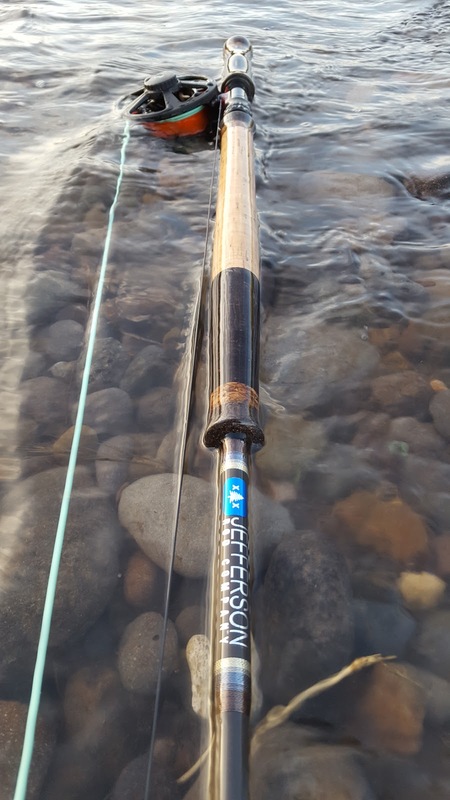 Especially on the Spey Rod! A new one in the ranks! Mia Answering one of a bunch of questions. Triple Density Scandi Heads will open up your Winter Steelhead Game! 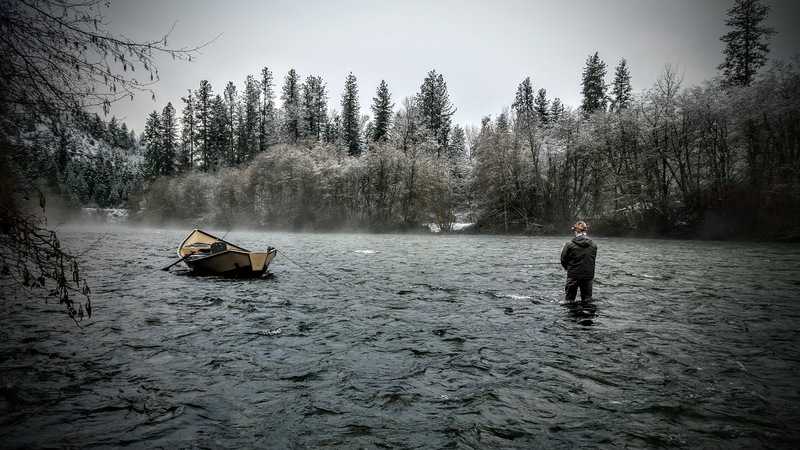 Winter Steelhead...The Ultimate Steelhead Adventure. Get prepared, with the right gear! Why hasn’t the multi density scandi heads caught on? There are several manufacturers that make them, but for some reason there aren't a ton of people using them. The first advantage I see from these heads is how much control they give you. My FHI (floating, hover, intermediate) swings so straight. There are none of those surface squiggles that the surface currents put in floating lines. 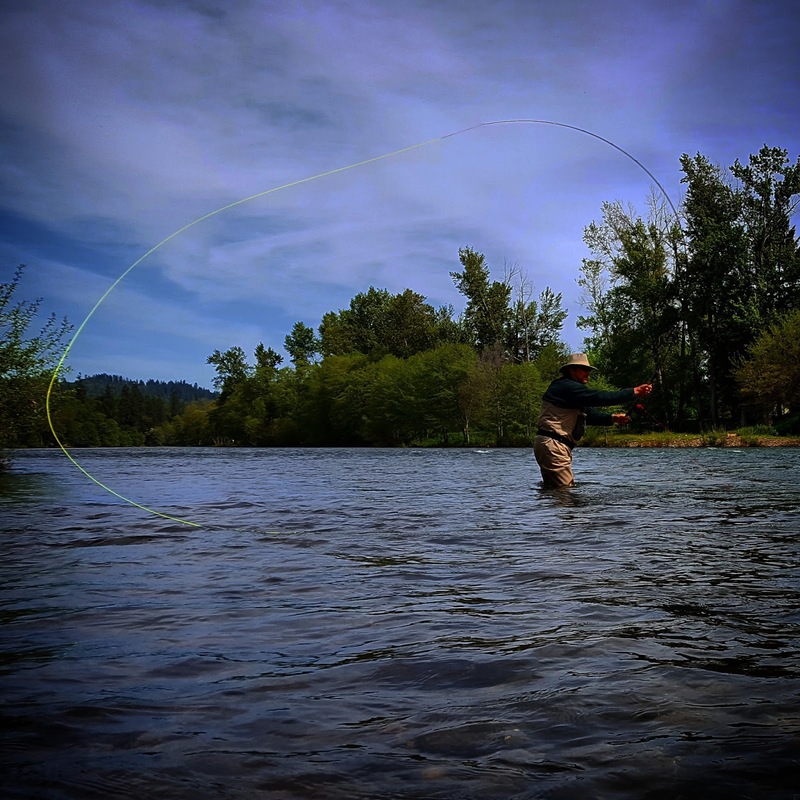 This means you are always in direct contact with your fly, not some eddy, or current seam that’s demanding your attention. 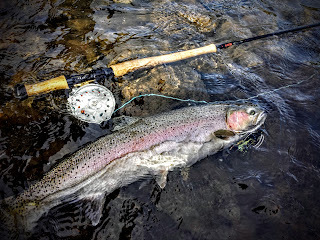 The FHI allows me to swim the fly where I want it and “Hold” it there for a much longer time. The second reason is stealth! If your breaking the surface at the head to running line connection, your keeping the telltale "V" of the floating line away from the fish. With a floating scandi that "v" is at the head to header connection, and in "spooky clear" water you'll put down fish. Also lines that ride just under the surface don't cast as big of a shadow as ones that ride on top. 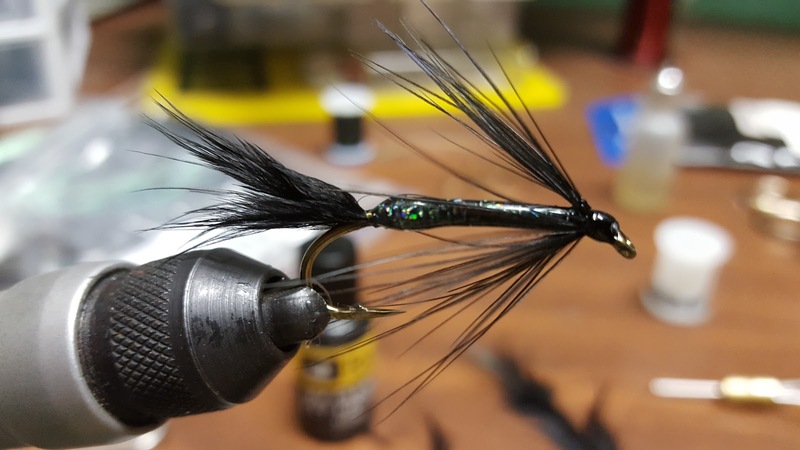 The third and most important reason is they will keep your fly in the water longer. 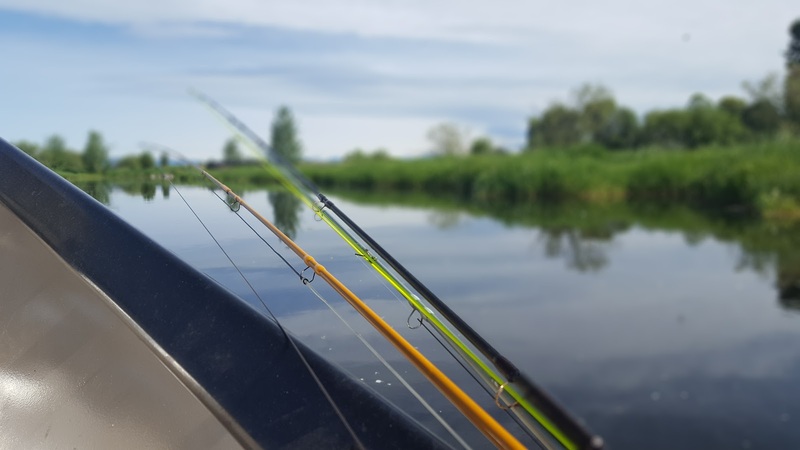 There are times when you don't need to cast huge flies but you need to get them down so you throw on the Skagit and tips. 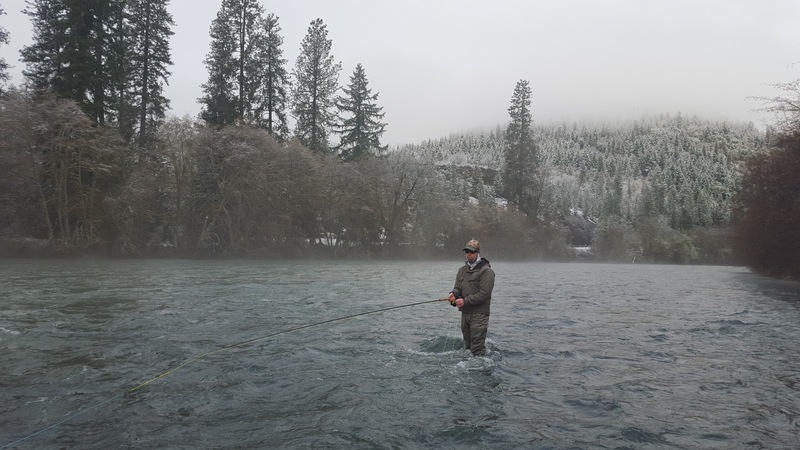 The Skagit is a necessary part of your winter fishing, but for those times when you’re throwing small flies it hinders your efficiency. 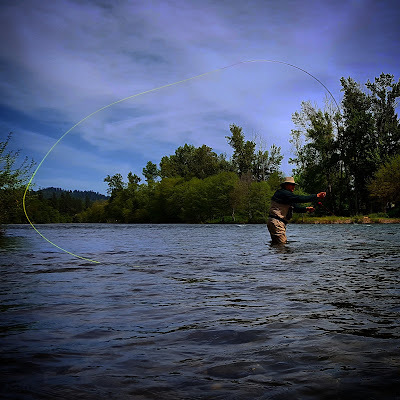 Think about it, you’re making three times the movements for a typical Skagit style cast over a snake roll or single spey. All of those movements and setup are taking your fishing time. When your casting to a fish of 1000 cast it all counts. My S123 rids on a straight line as deep as a floating Skagit and 10' of t11, yet I am able to fish traditional steelhead sized flies much more efficiently. With my s135 I can go even deeper. The fourth reason I love my triple density Scandis is that they swing so much slower. again if you have 30' of head under the water it creates more friction on the line hence a slower swing. In the cold temps of winter I am looking for the slowest presentation possible, as the fish react slower in cold water. 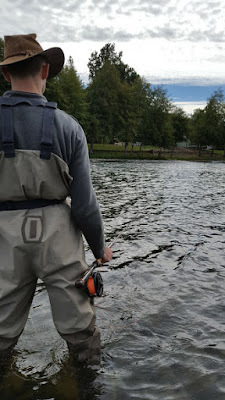 Those are the reasons I have switched my fishing over to the triple density scandis and I am really surprised they haven't caught on for the most part. Sure they don't replace Skagit lines, but what they have added to my steelhead game has been invaluable, I'm not sure I could live without mine now. Getting the most out of a run! Better slow it down for these waters! The reason we do it! T.J. with a nice Winter Fish!